It is with great pleasure that we present to our readers the Indian Edition of 'How to know God' by Swami Prabhavananda. 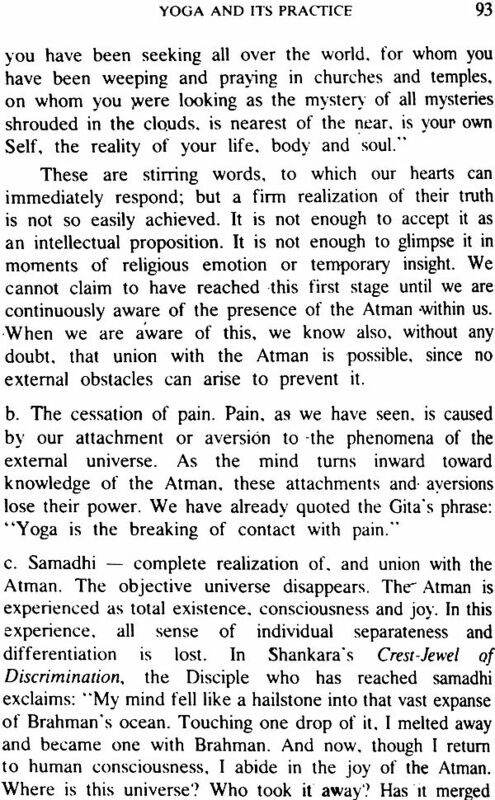 This English translation of Patanjali's Yoga Sutras was originally published by the Vedanta Society. 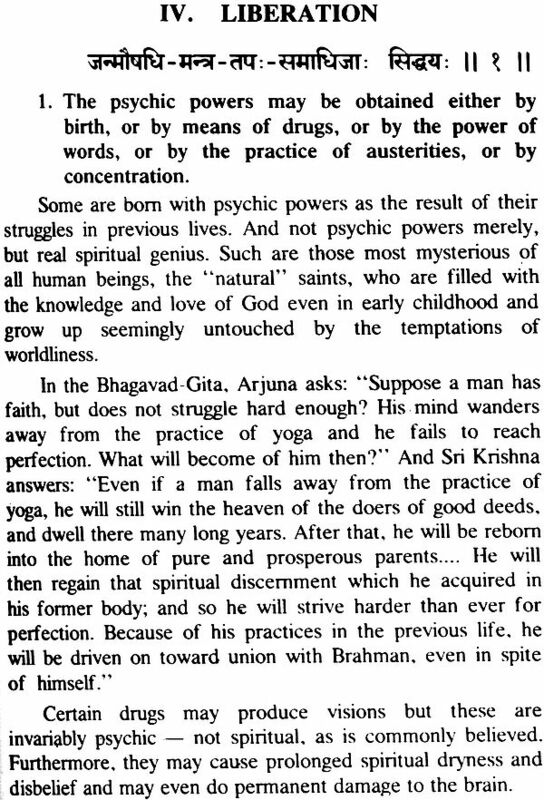 Swami Prabhavananda, who has to his credit, such lucid expositions as 'Srimad Bhagavad Gita, the wisdom of God'. 'Narada's way of Divine Love' and the Sermon on the Mount according to Vedanta's, has taken special pains in this book to present the philosophy and practice of Yoga in a non-technical, up-to-date phraseology that can be understood and enjoyed by all enquiring minds. 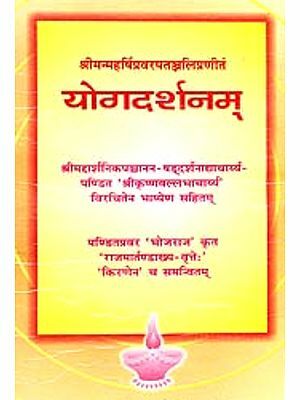 For the benefit of our Indian readers we have added also the text of Patanjali's Sutras in Devanagari. 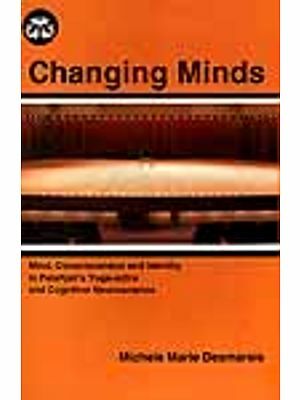 We are sure that they will find the book eminently helpful in their spiritual practice. We are thankful to Swami Prabhavanandaji and the Vedanta Society. Southern California for kind permission to bring out this Indian edition. 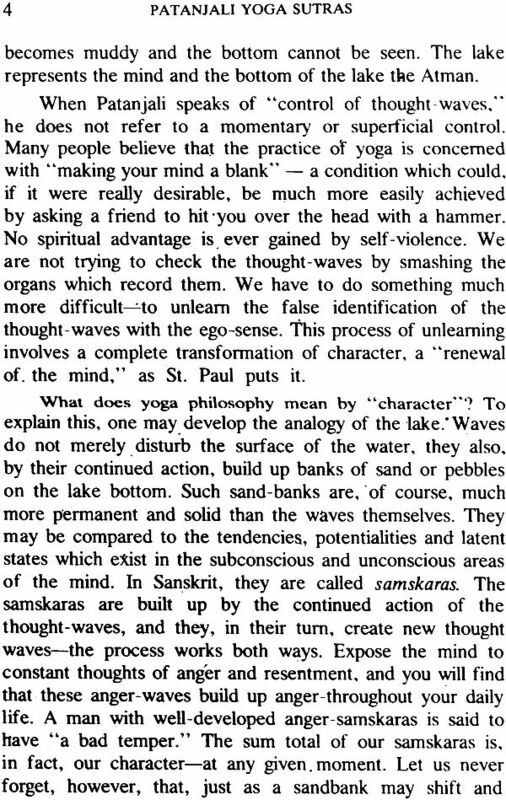 Patanjali's Yoga Sutras (Aphorisms) are not the original exposition of a philosophy, but a work of compilation and reformulation. 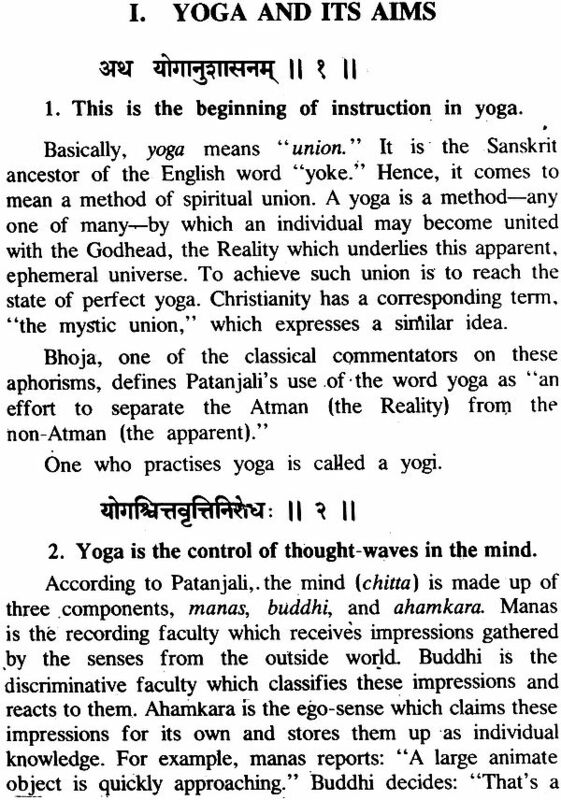 References to yoga practices-spiritual disciplines and techniques of meditation which enable a man to achieve unitive knowledge of the Godhead-are to be found, already, in the Katha, Svetasvatara, Taittiriya, and Maitrayani Upanishads, very many centuries earlier. Indeed, the yoga doctrine may be said to have been handed down from pre-historic times. What Patanjali did was to restate yoga philosophy and practice for the man of his own period. But what was his period? And who was Patanjali? Hardly anything is known about him. Some authorities believe that there were actually two Patanjalis, one a grammarian and the other the author of the Sutras. Others deny this. As for the date of the Sutras, the guesses of scholars vary widely, ranging from the fourth century B.C. to the fourth century A.D. The simplest meaning of the word sutra is "thread". A sutra is, so to speak, the bare thread of an exposition, the absolute minimum that is necessary to hold it together, unadorned by a single "bead" of elaboration. Only essential words are used. Often, there is no complete sentence-structure. There was a good reason for this method. Sutras were composed at a period when there were no books. The entire work had to be memorized, and so it had to be expressed as tersely as possible. 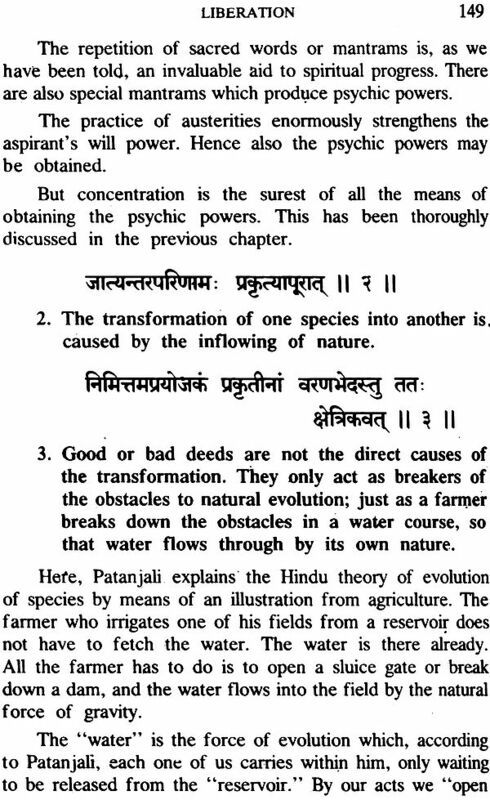 Patanjali's Sutras, like all others, were intended to be expanded and explained. The ancient teachers would repeat an aphorism by heart and then proceed to amplify it with their own comments, for the benefit of their spiritual integration, but we prefer not to make it a part of our therapy, because we believe that the two should be kept separate. If a patient wants spiritual integration, we can only send him to a yoga teacher or a minister of religion, where we leave off, yoga begins." In conclusion, we must gratefully acknowledge the permission given us to quote from the following books. Erwin Schrodinger's what is Life? Published by the Cambridge University Press; the volume containing The Way of a Pilgrim and The Pilgrim Continues His Way, translated by R. M. French and published by the Society for Promoting Christian Knowledge, of London; the Bhagavad Gita, translated by the present authors and published by New American Library, and the following works published by the Vedanta Press of Hollywood: Shankara's Crest-Jewel of Discrimination (Prabhavananda-Isherwood), The Eternal Companion Prabhavananda), and the Upanishads (Prabha-vananda-Manchester).